Now that you have created a PayPal account you are now ready to link this to your Sage Pay account. To link your account to Sage Pay you first need to log into your PayPal account. To do this go to the Paypal login screen. 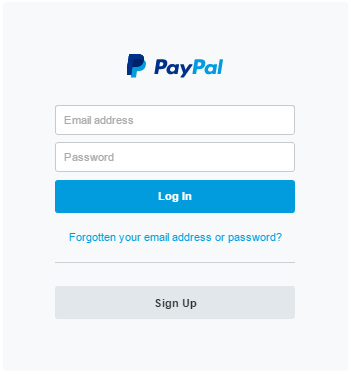 Use the e-mail address and password that was used to create your business account to log into PayPal. After you have logged into your PayPal platform you will then need to add the permissions for your PayPal account to work with Sage Pay. 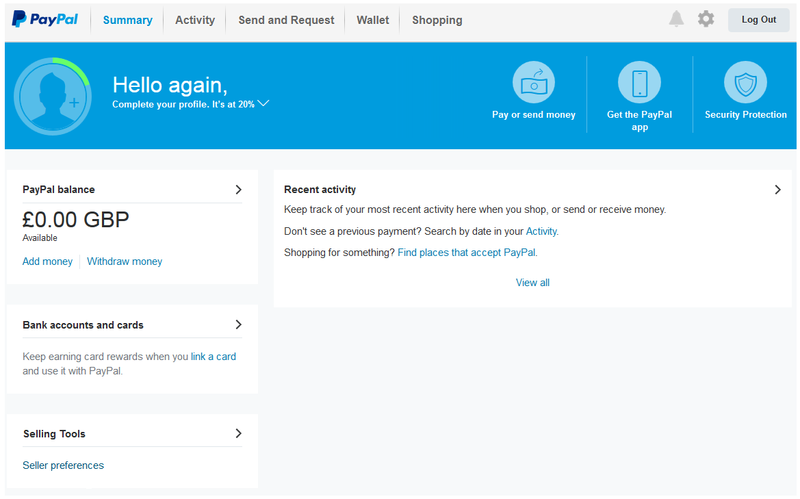 The first screen you will see when logging into your PayPal account is Summary – this page will present you with an overview of the current activity on your PayPal account. You will need to click on “Seller preferences” from the menu on the left of the page. You can also navigate to “Seller preferences” by selecting “Profile” first. 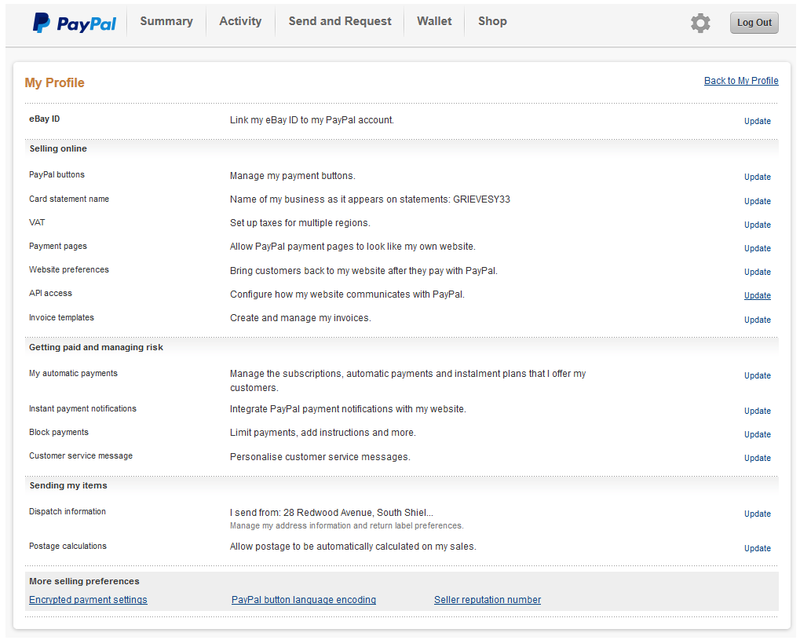 This will open the “My Profile” page where you can start linking your PayPal and Sage Pay accounts together. 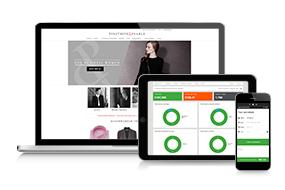 Select “API Access” from the “Selling online” menu. This will open the “API Access” page. There are 2 options on this page. 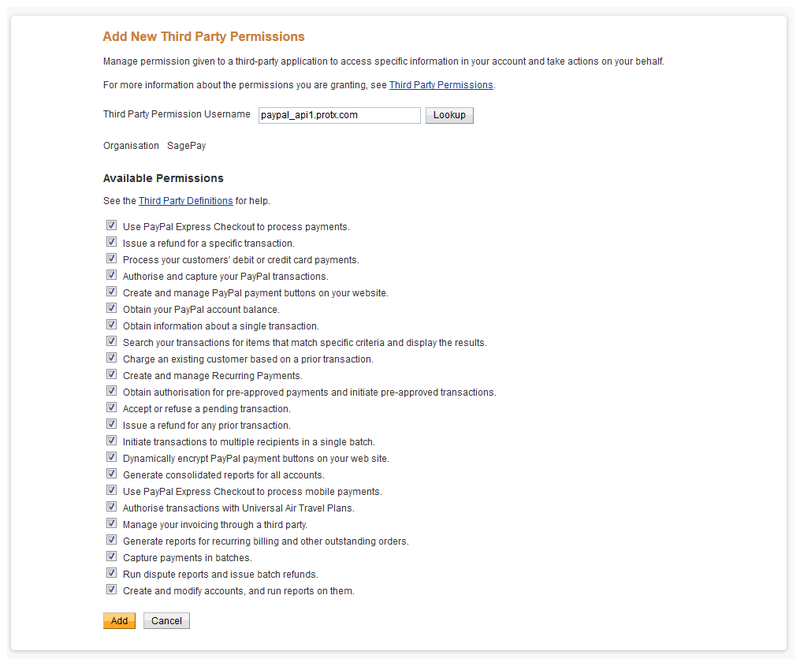 Option 1 – Grant API permissions to a third party to use certain PayPal APIs on your behalf. Option 2 – Request API credentials to create your own API username and password. 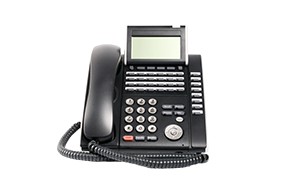 Select option 1 to enable Sage Pay. You will then be required to “Add New Third Party Permissions” by entering a username into the text box. You will then see a list of “Available Permissions” that must be selected before you can enable Sage Pay on your account. You will need to ensure that all available permissions are ticked before clicking “Add”. After clicking add this will then enable Sage Pay on your PayPal account. 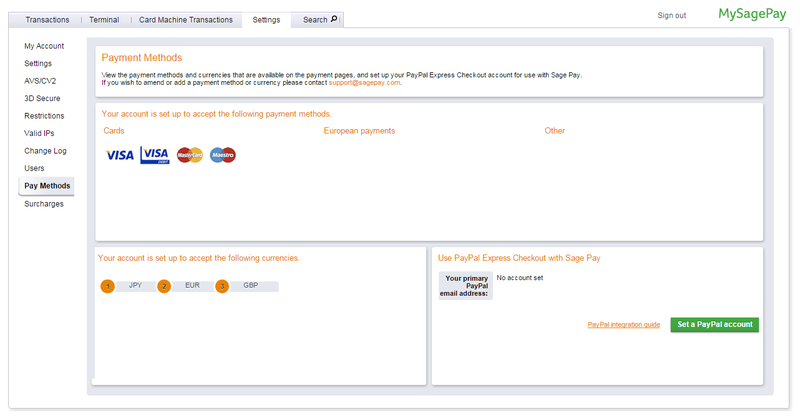 Now that you have completed the set-up within PayPal system you are ready to add PayPal into your MySagePay account. To do this you will need to go to the live MySagePay login page and login to the account as a User with administration rights. Once logged into your account select “Settings”, followed by “Pay Methods”. 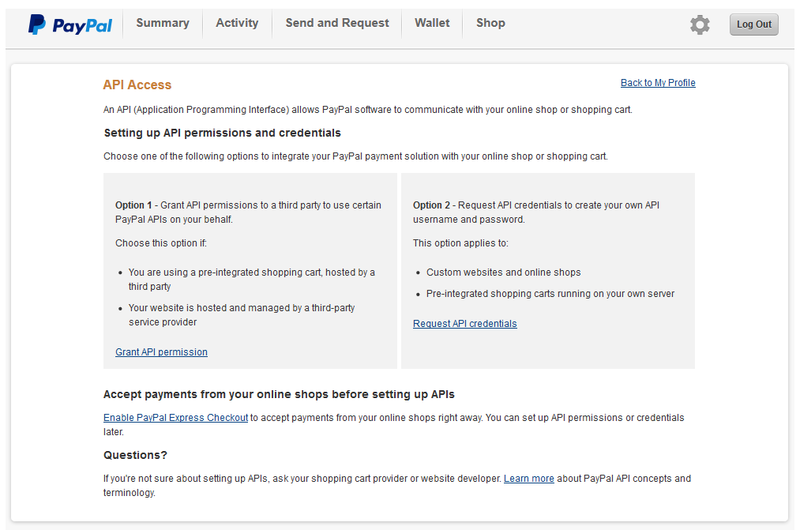 You will then see the PayPal option in the right hand corner of the screen. Click “Set a PayPal Account” in the bottom right of the screen and this will present a pop-up asking for the PayPal primary e-mail address. Enter the e-mail address that is assigned to your business account and click “Update”. This will then link your PayPal account to your Sage Pay account. 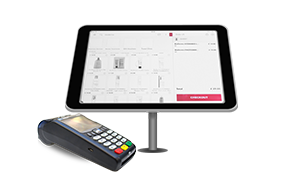 You are now ready to start processing PayPal on your Sage Pay account.